Alzheimer’s Is Accelerating Across the U.S.
Degenerative brain disease and dementia are on the rise across all 50 U.S. states, according to the Alzheimer’s Association. As the rate of Alzheimer’s continues to escalate, more financial stress will be placed on health care programs. The trend will also increase the need for caregivers nationwide. An estimated 5.5 million Americans are living with Alzheimer’s disease, according to the Alzheimer’s Association. The statistics are broken down by age and ethnicity and are listed as follows on their site. 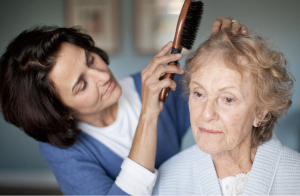 -Almost two-thirds of Americans with Alzheimer’s are women. -African Americans are about twice as likely to have Alzheimer’s or other dementia as whites. -Hispanics are about one and one-half times as likely to have Alzheimer’s or other dementia as whites. Another startling figure exposed is that “Someone in the U.S. develops Alzheimer’s dementia every 66 seconds. The state with the highest rate of Alzheimer’s is Alaska. Cases of the disease are projected to increase from 7,100 in 2017 to 11,000 by 2025 – an increase of nearly 55%. due to the projected growth of Alaska’s elderly population. The older population is expected to increase and by 2025, an estimated 70,900 to 110,000 people will be 65 and over. Alaska may have the highest rate of Alzheimer’s, but it also has the lowest mortality rate from the disease. For Alaska, the rate is 9.2 deaths per 100,000 people. The U.S. rate is 29 deaths per 100,000, which is more than triple the rate in Alaska. Arizona comes in second and Florida is number 8 as expected. Both states have an older population above average with Arizona’s being the largest of all states. By comparison, Idaho is number 10 on the list with an estimated increase of nearly 38% by 2025. The Medicaid cost of care for the disease is expected to soar to 47.8% from 2017 to 2025 in Idaho.